Robby may have started out in film, but he was never too big for television. Robby frequently made guest appearance on television shows. This was before movie stars were known for crossing platforms. Today, it is not uncommon to see Brad Pitt guest star on Friends, Will Ferrell have a recurring role on The Office, or Alec Baldwin starring in 30 Rock. However, back in the 50s and 60s this was a rare occurrence. Of course, Robby the Robot has always been ahead of his time. 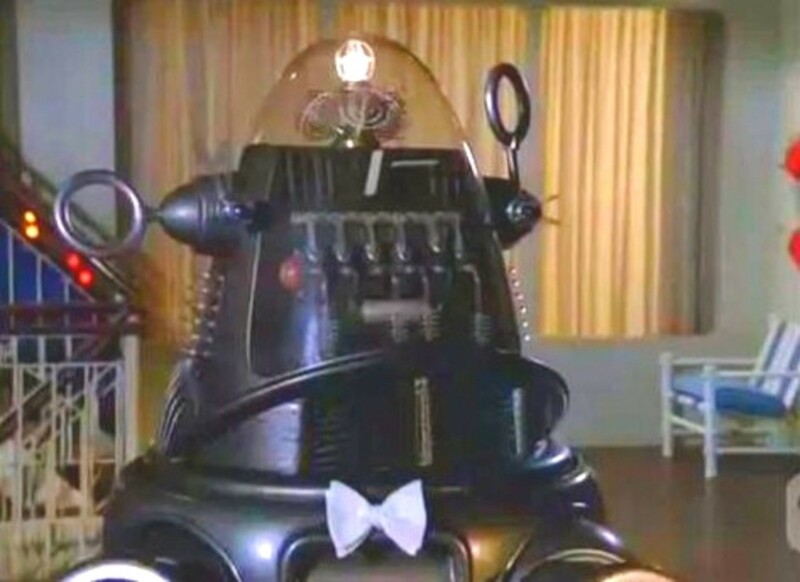 The Thin Man would be Robby the Robot's first television appearance. The show follows ex-private detective Nick Charles, his wife Nora, and a con artist name Beatrice Dane. Nick’s old friends are constantly getting him wrapped up in crimes that he must solve. 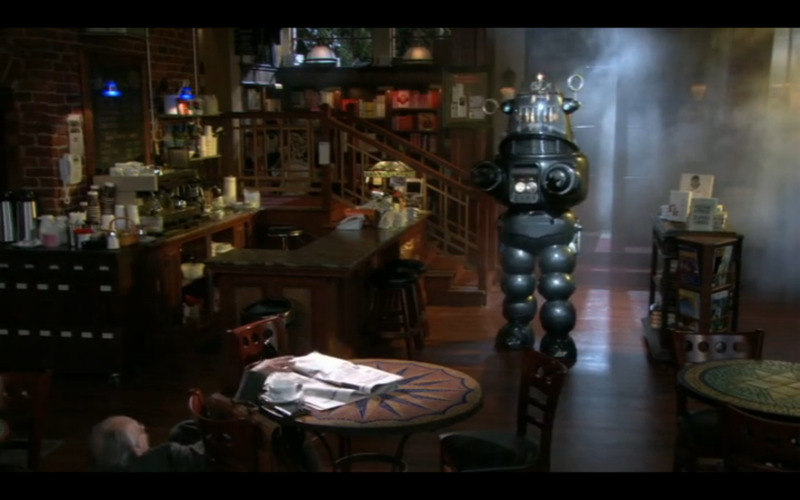 For Robby’s episode, he played a robot that may have been used as a murder weapon. Title: "Robot From Inner Space"
This comedic television show followed cruiseship social director, Susanna Pomeroy, of the S.S. Ocean Queen. While series regulars were aboard this luxury ocean liner, many stories took place at different ports, which allowed the casting of many guest actors. In answer to your question: No, Robby was not a regular passenger on the cruise ship. That would have been weird. This family sitcom revolves around the Baxter family and their live-in maid. George Baxter controlled his law office, but Hazel ran the household. She kept the place organized and running efficiently. 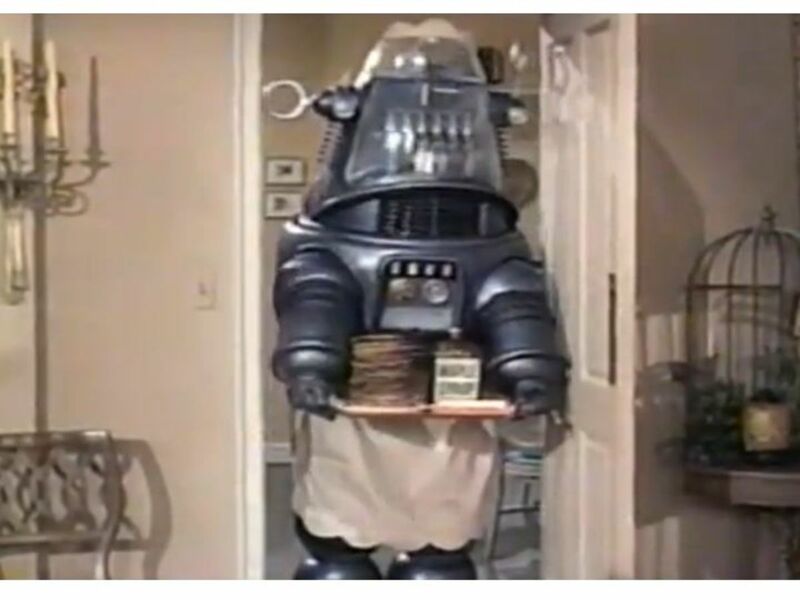 Robby has an uncredited role as a generic robot in the episode that has another maid from the neighborhood bragging about her contract. This makes Hazel decide it is time for her to have a contract as well. During a nightmare sequence, Hazel dreams she is unemployed and a robot is doing her job. Title: "Beethoven, Presley and Me"
Dobie Gillis is a teenager who wants popularity, money and girls way out of his league. Typical desires of most teenagers, except he lacks a lot of the qualities needed to achieve such lofty goals. At his side was his friend Maynard Krebs. Maynard was played by the hilarious Bob Denver (best known as Gilligan, in Gilligan’s Island) and was the first beatnik character to appear on television. Robby was cast as a robot that can guarantee any record will be an instant hit. Maynard gets turned into a machine himself, when he begins to tamper with the machine. 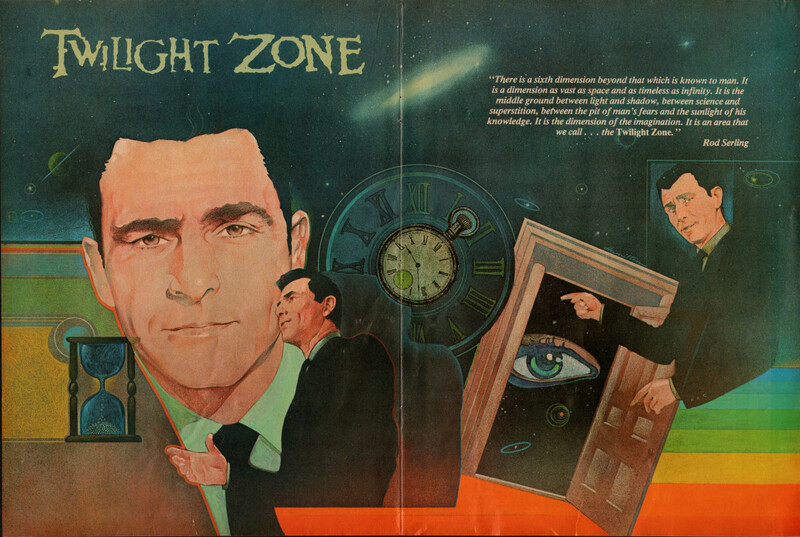 The Twilight Zone is a television and science-fiction classic. Rod Serling, with his distinctive voice, narrated stories that had ordinary people thrust into extraordinary circumstances. These situations would often revolve around a supernatural element. Having the iconic science fiction legend Robby the Robot appear on episodes of this classic show was only natural. Title: "One for the Angels"
Death visits a salesman name Lou Bookman and informs him that he will die at midnight. Lou convinces Death to let him have one last perfect sales pitch that would be “a pitch for the angels”. When Death grants his request, Lou quits sales and believes he has found a way to secure his immortality. However, Death informs him that someone must die tonight and it will now be a little girl who lives in his building. Lou then begins to dazzle Death with his salesman skills and is able to save the girl by giving his sales pitch of a lifetime to Death himself. 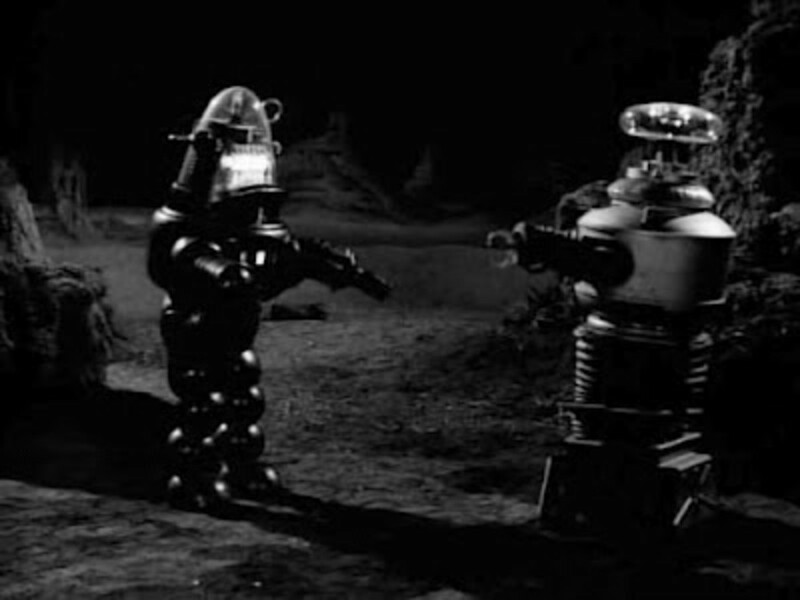 Robby the Robot can be seen as a small toy in this episode. Simon Polk is a cruel old man whose has had his only relative, Barbara, residing at his home. Barbara has lived with her Uncle Simon for most of her life. One day when Simon attempts to hit Barbara with his cane, she is able to block it and he falls down the stairs. Rather than helping him, she sees her chance of escaping his brutality and lets him die. Upon the reading of his will, Barbara discovers she will get nothing unless she takes care of her uncle’s last invention. This invention is a robot that slowly takes on her uncle’s characteristics. 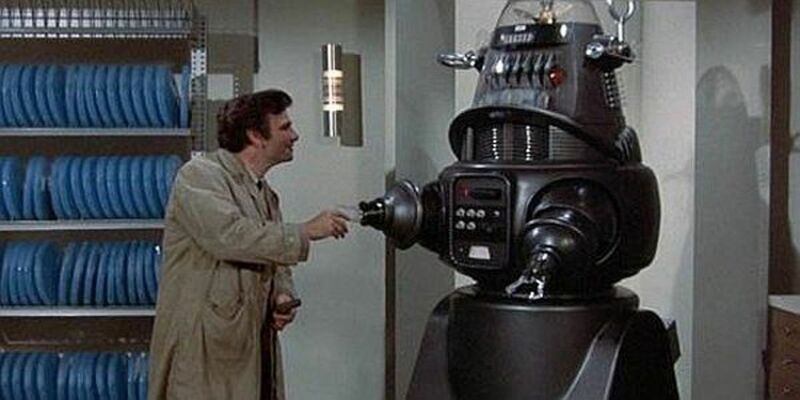 The robot is played by Robby the Robot. Title: "The Brain Center At Whipple’s"
Wallace V. Whipple installs a fully automated X109B14 machine into a factory, which increases efficiency and allows him to lay off most of his workers. The fired workers plead with him to realize the value as living human beings, but he ignores them. 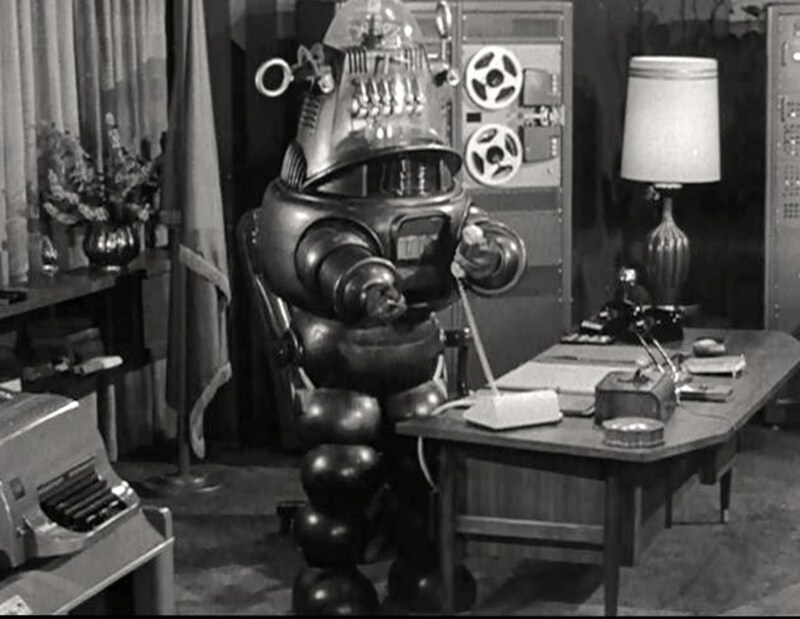 When Whipple becomes obsessed with machines, the board of directors fires Whipple and replaces him with a robot. 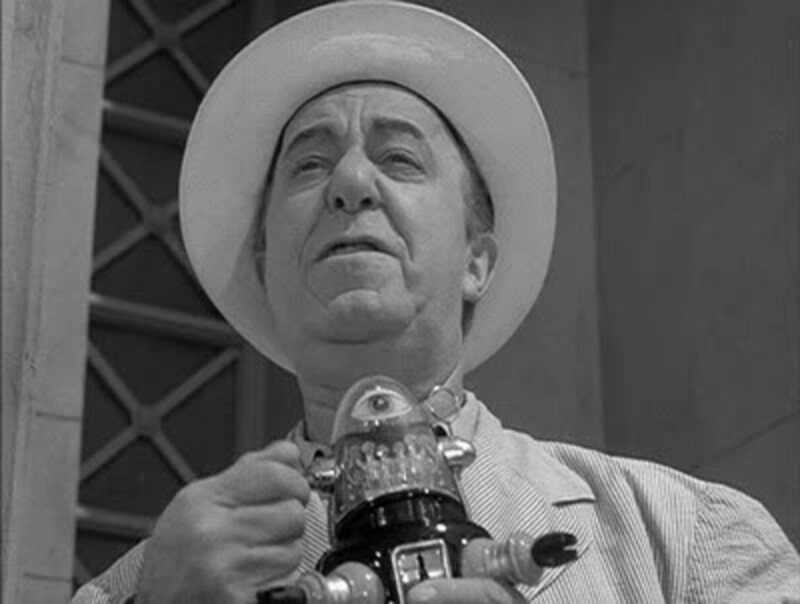 We see Robby the Robot twirling a pocket watch just as Whipple did throughout the episode. This comedic 30-minute show revolved around an eccentric wealthy family with supernatural powers who enjoyed the terrifying and odd things in life. 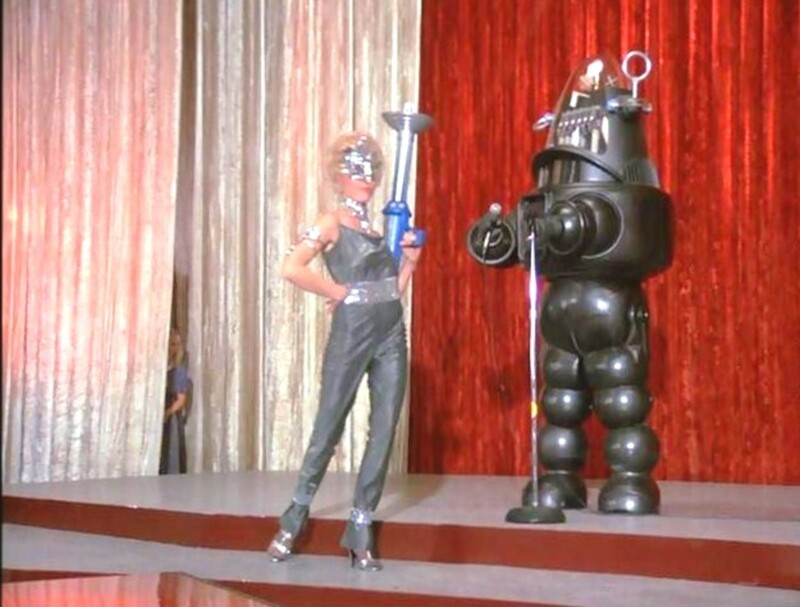 Robby the Robot makes a guest appearance when Morticia feels they are working their 7-foot butler, Lurch, too hard. 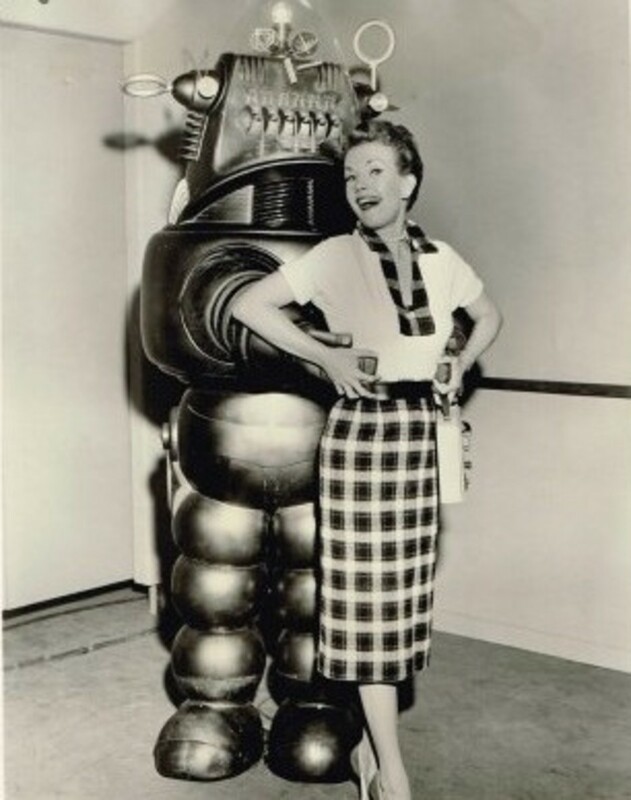 Her husband Gomez builds a robot to help with the chores around the house. Lurch soon hands over all his duties to the robot Smiley, played by Robby the Robot, and finds his job threatened by this new robot. 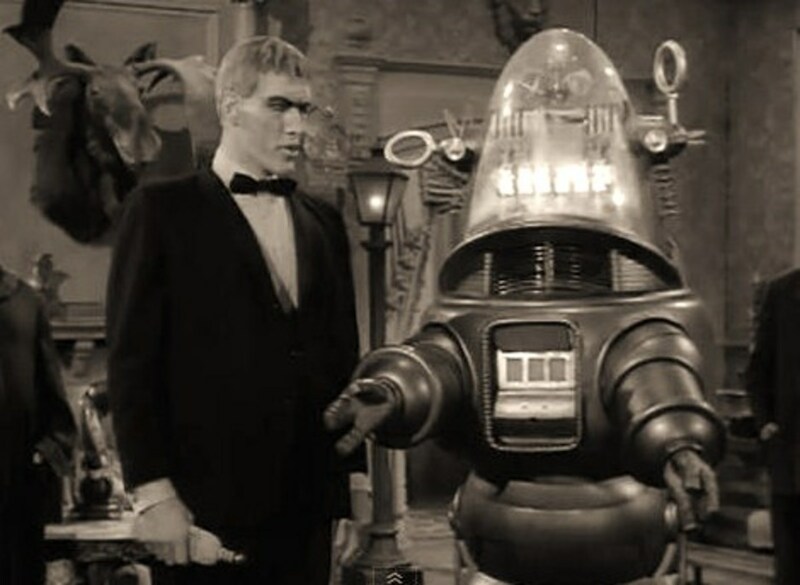 Not to worry, his job is safe, because Smiley doesn’t do as good of a job as Lurch, and the family's love for Lurch could never be replaced by a robot. Professor John Robinson, his wife Maureen, their children (Judy, Penny and Will) and Major Don West are on a mission to establish a colony on the third planet in the Alpha Centauri star system. Their goal is to help alleviate the massive overpopulation occurring on Earth. 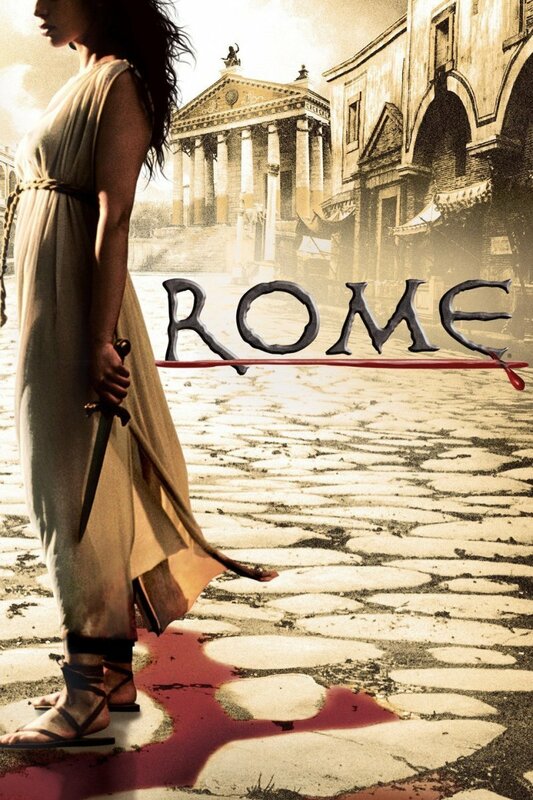 Doctor Zachary Smith, an agent for an enemy government, is sent to sabotage their mission. Dr. Smith is successful, but gets trapped aboard the ship. Now they must all work together if they are to have any chance of surviving the perils of space and finding their way home. 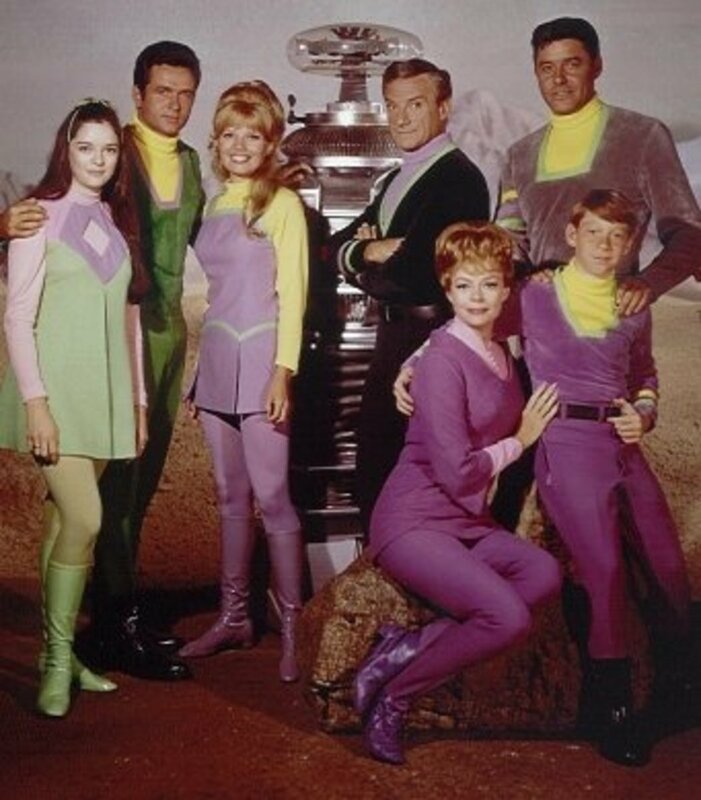 It is not surprising that Robby would make several appearances on Lost In Space. Robert Kinoshita,who was responsible for creating Robby the Robot, also designed Robot B-9. 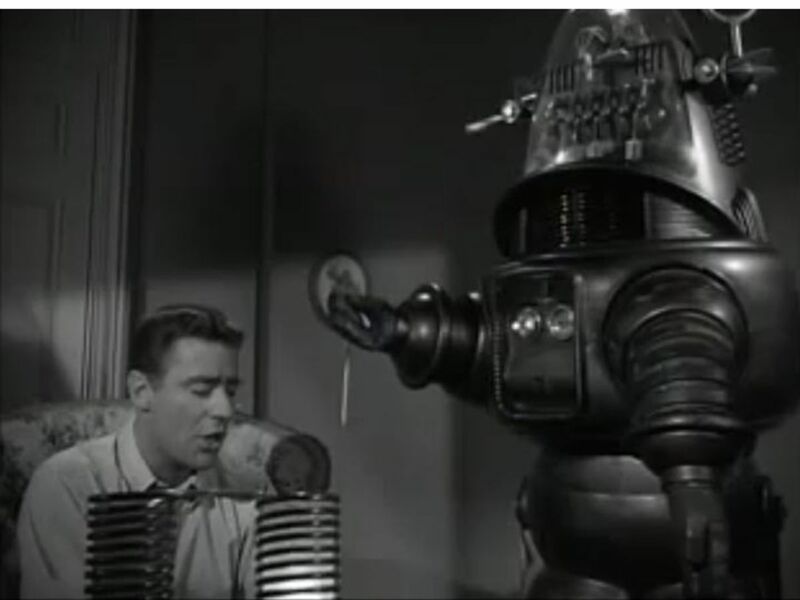 After Will Robinson fixes an old damaged robot that he finds laying around, we discover the robot is actually a robotoid. This free thinking machine is capable of independent thought, does not require human programming and definitely doesn’t follow Asimov’s Three Laws of Robotics. The robotoid decides that is must capture the human Robinsons and destroy their B-9 Robot in order to please the advanced race that built him. 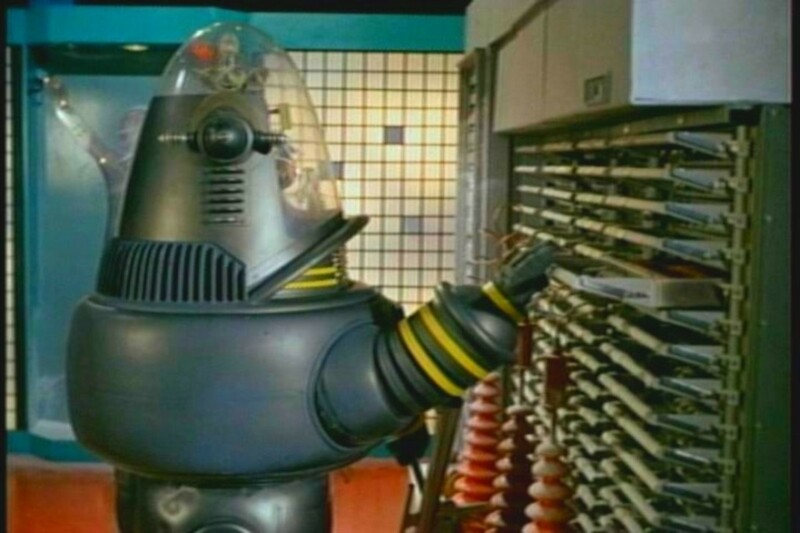 The villainous robotoid is played by Robby the Robot. Title: "The Condemned of Space"
The Robinsons are forced to flee the planet they have been living on, because a comet is about to crash down. During their evacuation, the ship and B-9 Robot are damaged by a supernova and they are forced to land aboard a huge ship directly in their path. The ship is actually a prison, whose inmates are cryogenically frozen. The Robinsons must now avoid a riot and repair their ship, if they have any chance of surviving. 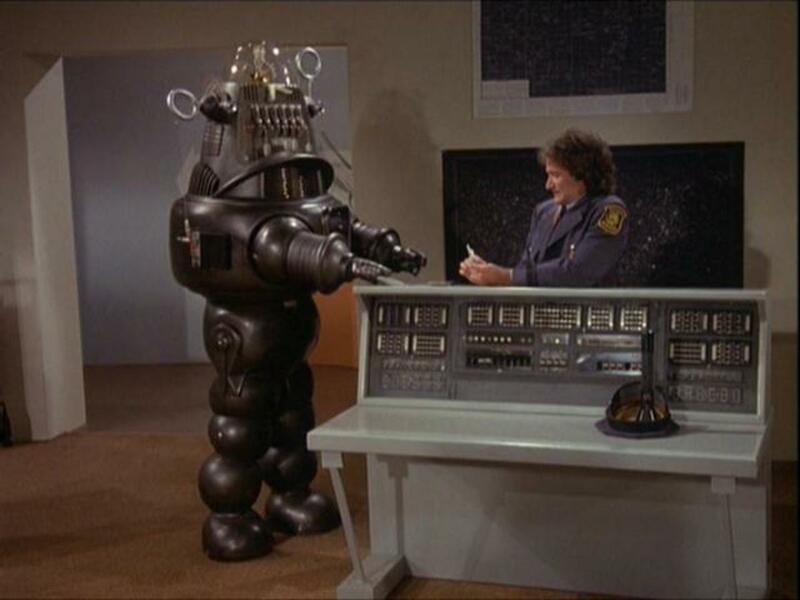 Robby plays the robot prison guard. Robert Vaughn and David McCallum are secret agents for the United Network Command for Law Enforcement. These agents keep the world safe from THRUSH and other criminal organizations. When a scientist invents a reverse aging machine, UNCLE and THRUSH are in a race to secure this modern day fountain of youth. An older British politician and his manipulative wife make things more complicated. Robby wasn’t exactly in this episode, but his head was used as part of the Rejuvenating machine. Title: "The Coronation of Bakaar"
Hanna-Barbera’s first attempt at mixing live action and animation came in the form of The Banana Splits Adventure Hour. The show was a series of sketches hosted by Fleegle the dog, Bingo the gorilla, Drooper the lion and Snorky the elephant. These characters were portrayed by actors in full-body puppet suits. Robby plays Mildred the Robot, who (like the Jetsons' robot) is a maid. He appears without his classic glass dome, perhaps to make him look more feminine. When Bingo asks for Mildred to make him a banana split, because this is a kids' show, Mildred grants Bingo’s wish and literally turns him into a banana split. Los Angeles detective Lieutenant Columbo uses his polite charm and investigative skills to solve the toughest murders and put away some of the most devious murderers. In one of Columbo’s cases, the head of a government think tank murders a colleague, to protect his son's secret of having plagiarized a dead scientists' theory on molecular structure. Robby played a robot that was reprogrammed by the murderer to secretly run a war game exercise, which helped create an alibi for the killer. The show follows the crew of the Ark II, as they travel all over the country in a post-apocalyptic world. The three human members and their intelligent monkey, capable of speech, attempt to promote peace by doing good deeds and helping those in need. When they come across an area their hi-tech RV Ark II can’t travel because of a dangerous gas, Samuel builds a robot named Alphie, played by Robby, to explore this strange phenomenon. However, their leader Jonah wants the robot deactivated. Title: "Sighting 4010: The Waterford Incident"
Before The X-Files, there was Project U.F.O. It might not have been as popular as the X-files or had memorable characters like Mulder and Scully. However, the show was about two government agents who worked on Project Blue Book, where they would investigate reports of extraterrestrials and unidentified flying objects. 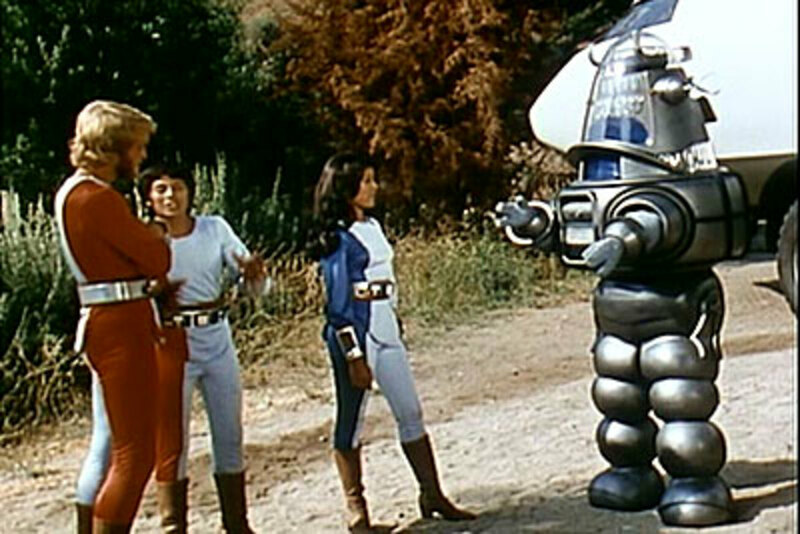 In its two seasons on the air, Robby the Robot would make a guest appearance as an evil robot attacking a hunter. 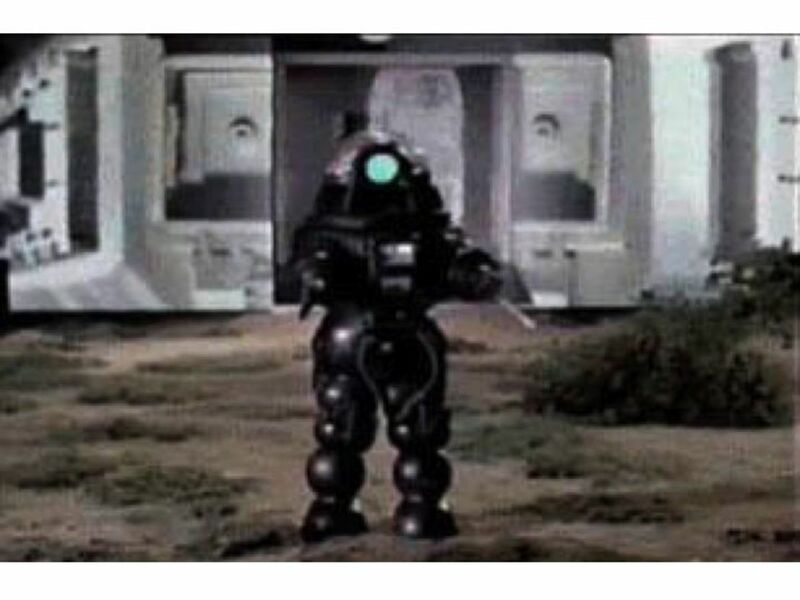 Robby the Robot in Project U.F.O. DC Superhero Wonder Woman had her own television series for three seasons. 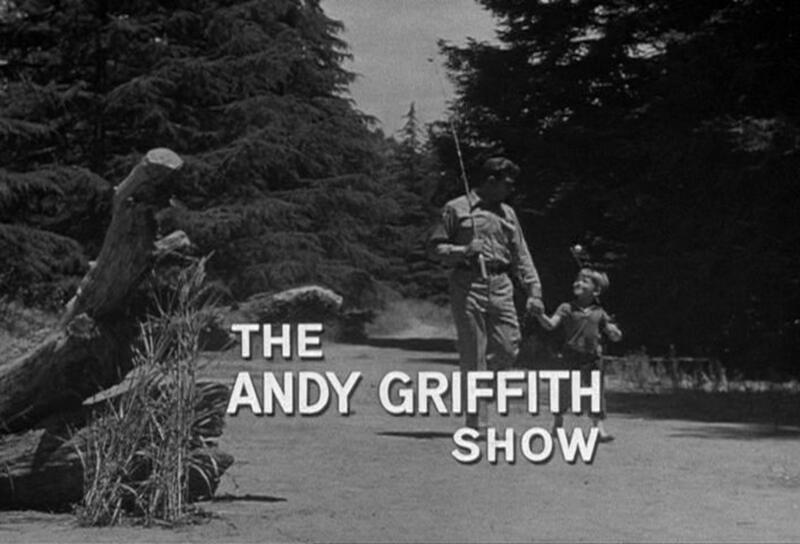 The first season was set during WW II, but for budget reasons the time period was moved to the present day. No matter what century, this Amazon Princess always fought for peace and justice. When the Tree Crystal Lenses are stolen from the Torrance Aerospace Plant, they are secretly shipped to the Space Questicon in Los Angeles. Diana Prince is put on the case and is staying at the L.A. Hotel Le Baron, where the convention is taking place. It is now a race to see who can recover the lenses first. Robby plays himself as an MC for the science fiction convention. Before Robin Williams was a star, he played the zany alien Mork. A guest spot on Happy Days turned into his own television series. Mork and Mindy tells the story of Mork, who came from the planet Ork to study Earth and its human inhabitants. In one of his adventures, Mork gets a job as a security guard at a science museum. While there, he becomes friends with Chuck the Robot and reprograms him to be an emotional, conscious being. For Robby’s portrayal of Chuck, he took on the voice of the legendary actor Roddy McDowall. This Saturday morning live-action kids' show followed a group of gifted children and their 300 year old instructor. These young cadets were students at a military space academy, built into an asteroid. They would work together as the Blue Team. As in most children's shows of the time, each episode taught a moral lesson. Robby played an evil war machine with force-field technology. When Blue Team lands on a planet, in response to a distress beacon, they must try to rescue an old friend of their instructor. However, this proves difficult as they attempt to defend themselves from an evil robot and race against the clock as a nearby sun is about to go nova. Robby would make another appearance on a comedic television show about a cruise ship, but this time he used the alias Bix. The Love Boat was a romantic comedy that took place aboard the Pacific Princess and the ports along its journey. For 10 seasons, stars of film and television would be cast each week to play passengers aboard this vessel. The opening song saying, “The Love Boat promises something for everyone, set a course for adventure, your mind on a new romance” was a key component of these guest star roles. Being a robot did not stop Robby from following this formula and being involved in a love triangle during his episode. When the voluptuous Skyler Dayton, played by Pamela Anderson, decides to leave her wild bad-girl days behind her, she stumbles upon a family owned bookstore called The Stacks and gets a job. 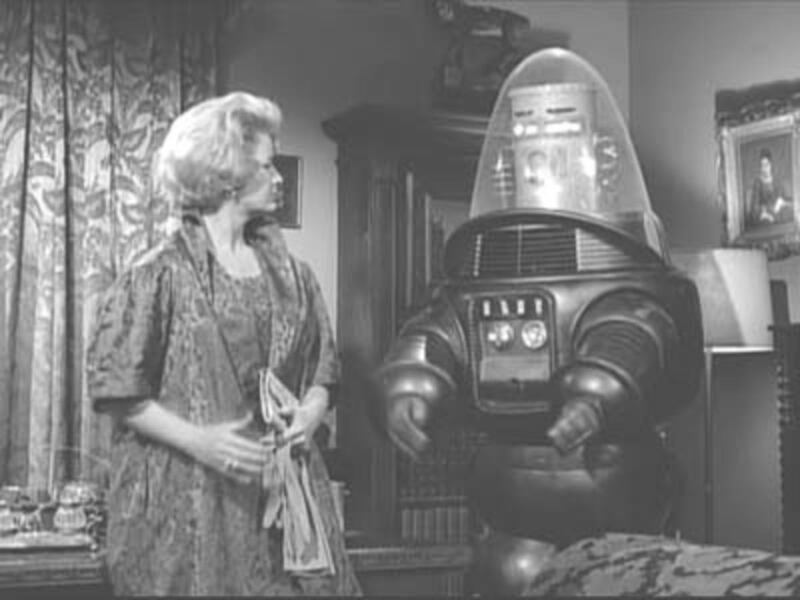 At the end of an episode revolving around Gavin having a physically intimate dream about Skyler, Robby the Robot appears in another dream sequence. 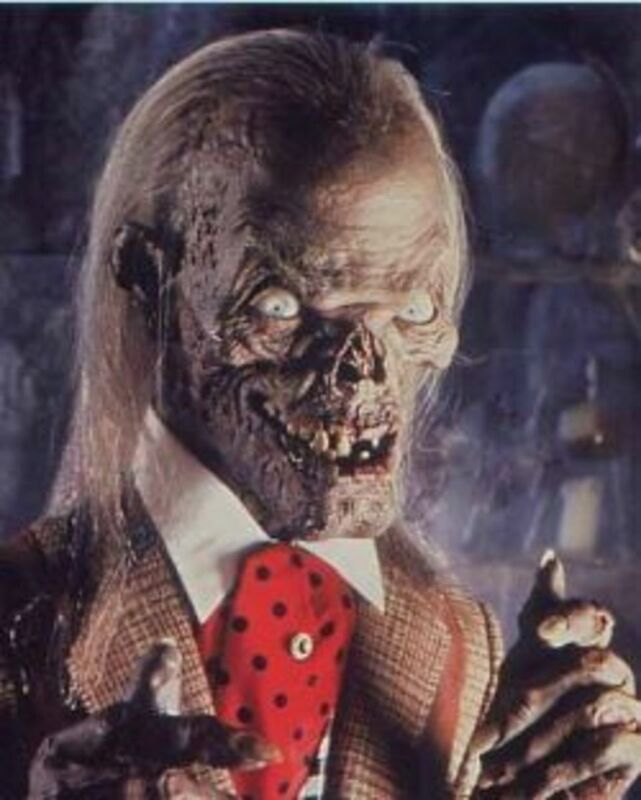 This isn't a provocative dream; instead, Robby is a NASA Robot who comes into the bookstore and terrorizes The Stack’s most loyal customer, played by Christopher Lloyd. If you know of any television shows Robby made an appearance in that are not listed here, feel free to leave a comment below. Please leave the episode number or title. 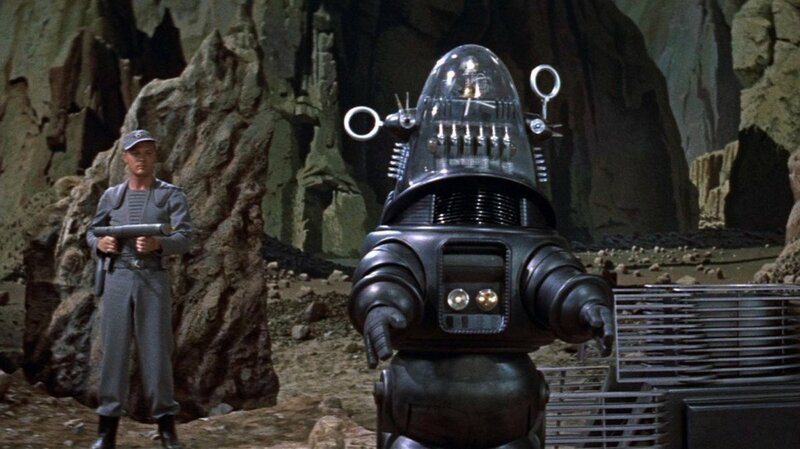 A list of films that Robby the Robot has starred in or had cameos. Summary of the movies, robby’s roles and pictures of his scenes. Thanks. That would be great if we see him in more things. Awesome! this world needs a little more of Robby! I am glad you enjoyed the article and were able to learn about more of Robby's television appearances. I know you are a fan of his. Thanks for the tips about spacing. I will have to come back in a month or so and incorporate some borders or rearrange the pictures for an easier read. I don't edit right away, because I have found hubpages automatically flags an article and takes away the ads if updates happen to close together. Whoa Robby the Robot did get around didn't he? 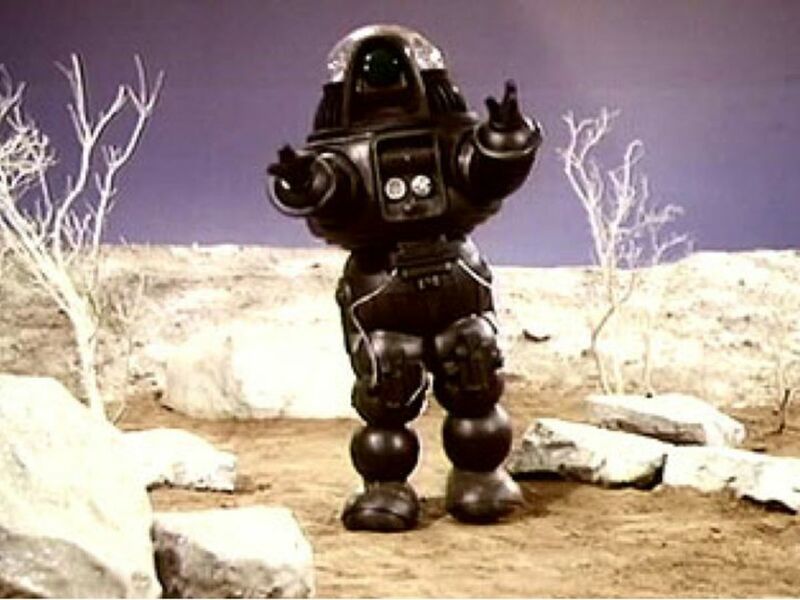 I didn't know he appeared in so many TV shows, the only one I still remember is Lost in Space. I bought the set on DVD. Voted Up and Interesting, Useful too. Btw your hub could use Dividers, to separate each show. I use them a lot on my hubs, a helpful hubber came up with a nice bunch. If you're interested have a search for dividers or seperators. They are jpegs but don't get counted as images in the stats.